What Is A Porcelain Tooth Veneer? Porcelain veneers are one of the simplest, most aesthetically pleasing restorations available. Apart from restoring your natural smile, a tooth veneer is also strong and stain-resistant, keeping your smile brilliant. A minimal amount of the tooth is removed in order to apply a veneer. 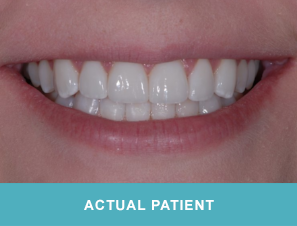 Generally, applying porcelain veneers is also a quick process and takes no more than two appointments to our Comstock Park office. Dr. Stewart and Dr. Hull also use prepless veneers, which are even thinner and can be bonded over the top of a tooth with very little or no drilling. When Are Other Solutions Better? If a tooth is severely decayed, broken, or has lost a significant part of its structure, it makes more sense to use a dental crown or other restorative work. Maybe! We’d love to talk to you about it. In general, if the tooth has maintained a significant part of its structure and isn’t subject to severe decay, a tooth veneer is a great cosmetic dental option that can significantly improve your smile without hassle. Please call us at 616-784-2377, or simply send us a quick message through our contact form! We’ll get in touch with you as soon as possible to talk about how porcelain veneers could help improve your dental health and appearance if you are in the Grand Rapids area, from Comstock Park to Rockford, MI!